Monika has been gardening for 10 years in Minneapolis, MN. Growing up in the city, I always wanted to have a garden. We lived on a corner lot but there really wasn’t an ideal place in our yard to place a garden. One year my parents let me plant a couple of things right next to our home. I had no idea what I was doing & remember pulling up a carrot or something when it was smaller than my pinkie finger. It was so disappointing. When my husband & I purchased a home with a large lot, it was time to try my hand at gardening again. I started out tending to the existing landscape then branched out to planting. Monika has one of the best patio/porch gardens we’ve ever seen, and she does an amazing job of making her garden look great while producing a ton of healthy food for her and her family. Success and growth doing something I knew virtually nothing about & seeing that happen again & again, from season to season by trial & error. It’s so rewarding walking out the door to pick something to cook with that you grew with your own hands. Ooh, that looks good. It’s hard to believe Monika can grow all this yumminess on her back deck! 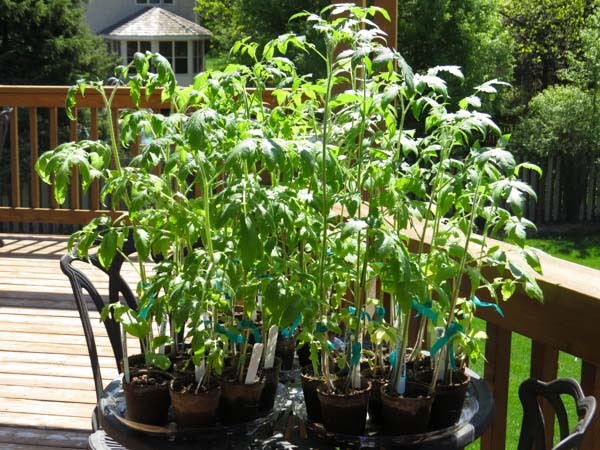 A shorter Minnesota growing season, severe storms with high winds & keeping squirrels away! 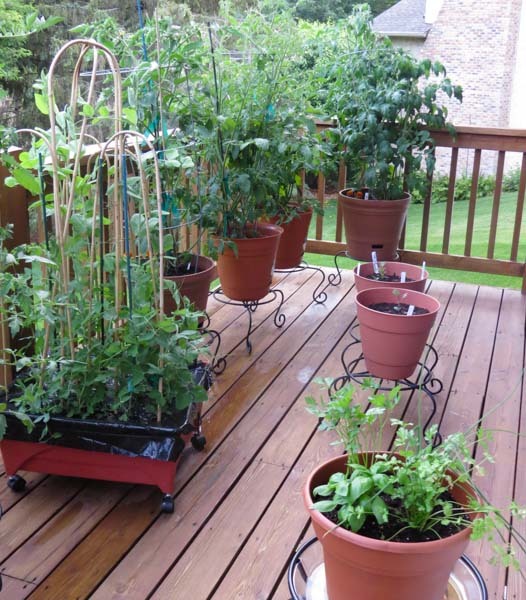 Since we have a lot of animals that hang out on our property I do most of my (vegetable, herb & sometimes fruit) gardening on the deck in containers. Apparently, Monika’s squirrels don’t like tomatoes… or is she a squirrel whisperer? It isn’t as difficult growing things from seed as you think. When I first began gardening I used only starts from nurseries. 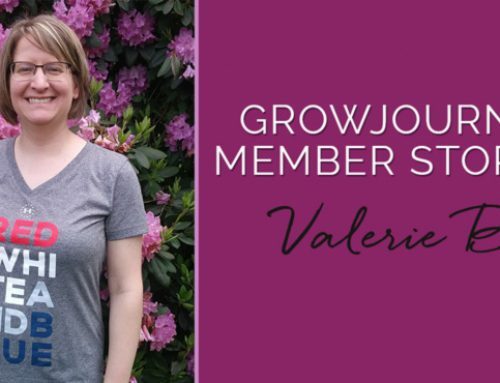 I moved on to dabbling with seeds, but then since becoming a Grow Journey member, almost all my plants start from seed. It takes some foresight & planning, but the quality of the harvest is tremendous. Heirloom, organic tomato seedlings started from seed by Monika. Definitely the varieties that are unique and the quality of the seeds. I am growing things that I never would have thought to try, especially in a container garden situation. So much information is provided about each seed received. Mmm, fresh organic tomatillos from Monika’s back deck. That’s as local as food gets! 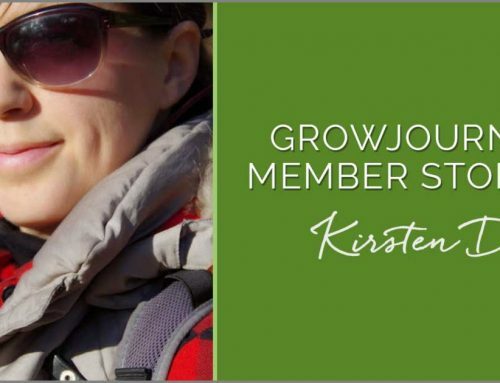 I look forward to each growing season & the GrowJourney shipments. Every year I try to add a few new things to my growing plan. I take those learnings and use them to make changes & improvements to get the best yields. It’s also rewarding that my family shares my love of fresh home grown produce. Not having to rely on the grocery store for these goodies 2 seasons out of each year is awesome. Shh! Nobody tell Monika that you can’t grow squash in a pot. Here’s a perfect young Ronde de Nice squash freshly cut from her loaded plant. This French heirloom is also one of our personal favorites in the summer squash category. 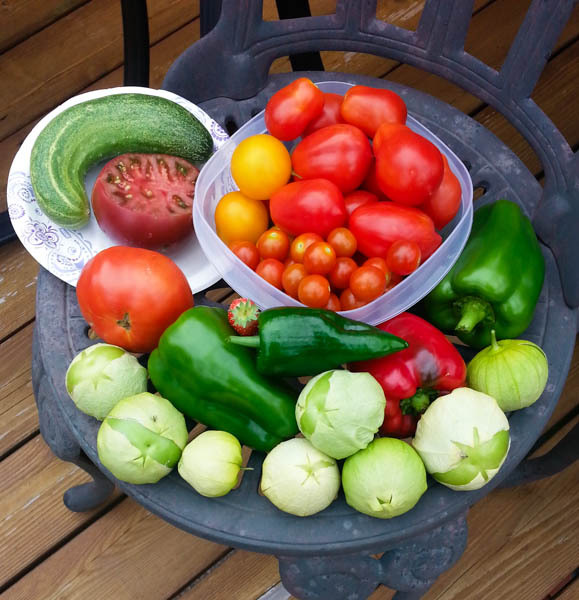 Quick note from Aaron @ GrowJourney: We’ve been amazed to see all the things that Monika has been able to grow and harvest in a relatively small space on her back deck. Not to mention, she lives in Minnesota, which has snow on the ground more months of the year than not! 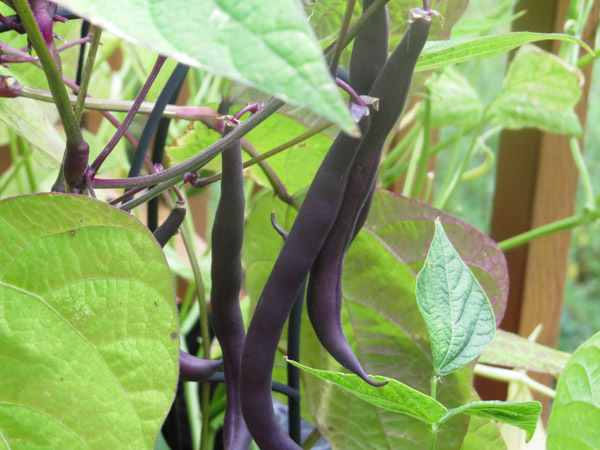 Burgundy bush beans in Monika’s porch garden. Follow Monika For More Patio Gardening Inspiration: If you want to be inspired by one of the best patio gardeners we’ve ever seen, be sure to follow Monika on Instagram or Twitter.